My muscles are wrecked and my mind has already given in. But my body hasn’t even left my couch yet. I’m going to bail. I can’t take another weekend of failure. Why do I keep trying climbs with such a small margin for success? I can’t stop the weekend from approaching. The days and hours quickly tick by. I’m still lost in neverland, so excited at the prospect of going to The Needles and at the same time so emotionally empty and completely unable to climb at my limit. During the week I’ve been hang-boarding and my body is breaking down and trying to get stronger. I don’t recover in time for the weekends and the lack of fitness has eaten away my confidence. It’s been almost a month since I flowed easily over rock. Reality hit me. I couldn’t stand the thought of bailing. Sure I was weak, but that was a poor excuse. I HAD to know what it was like to climb Romantic Warrior. Kai and I had been talking about going to The Needles for months and I had been thinking about this route for years. Finally at the base, with the Warlock towering overhead, I was at ease. This was exactly where I wanted to be, and we were going to try a route that dreams are made of. Sure we were getting in over our head, but perhaps that is the point. Failure seems to be the theme of the summer, and I was alright with that. 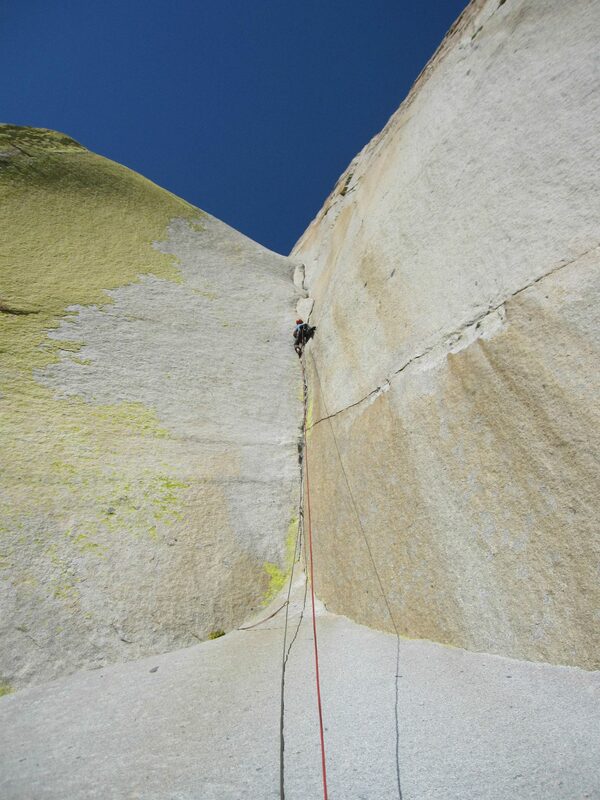 Kai and I swapped leads up the route with him getting the sharp end for the first of four 5.12 pitches. We fell on every one, both on lead and on follow. The humble pie just kept piling up. As I nervously climbed, and hung my way up the book of deception I was still content with my decision to climb. The earlier pitches I could have onsighed with a bit more fire and fitness but this blank thin corner was not in the cards. Kai following the third pitch. All of the failure but the route into perspective. It was hard, but far from impossible and a much more difficult onsight than redpoint. I had been falling off 5.12 routes all summer and this one seemed just within reach. After summiting the Warlock as night fell we were zombies on the long hike out. 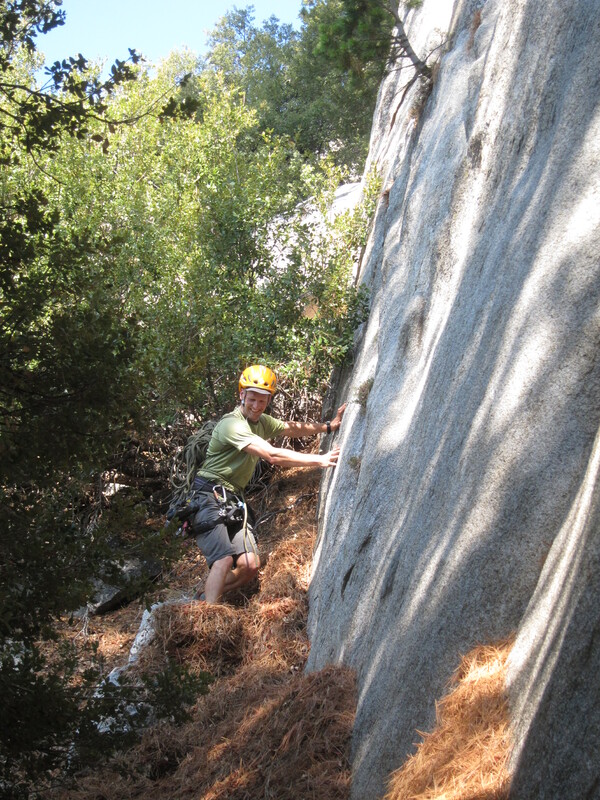 The next day we came back with drill and hammer and dropped in by climbing the Howling, a fun route. We pulled old 1/4″ bolts, updated an anchor and added some rappel rings. Doing a little cleanup made me feel better about all the falling. The route got a summer cleaning, and was much less haggard looking than I was. After the cleanup we got down to business and tried the last two “5.12” pitches. The dreaded 5.11+++ and the Book of Deception. It was great to work on the movement without dealing with any mental factors. A big epiphany on this trip is my unwillingness, or inability to stem. Sure I can do easy stemming on footholds, but I struggle when forced to palm and smear on blank walls. The 5.11++ is so thin that I was unable to layback or jam the crack. Only through insecure stemming and palming was I able to get through the two cruxes. The same was true for the Book of Deception. When hang dogging I had been able to rest and power layback most of the pitch, but trying to link it together was much more difficult. Little stemming tricks on both pitches made a big difference! On our second day I was able to climb both of the upper pitches clean on TR. Kai managed the top pitch without falling and surprised himself with a one hang of the crux pitch, a marked improvement over his attempt to follow the pitch the previous day. Both pitches required a full gamut of corner skills separated by a midway rest on each pitch. While the cruxes on the first two 5.12 pitches can be overcome by power, I found the upper pitches to be all about technique and insecure movement. 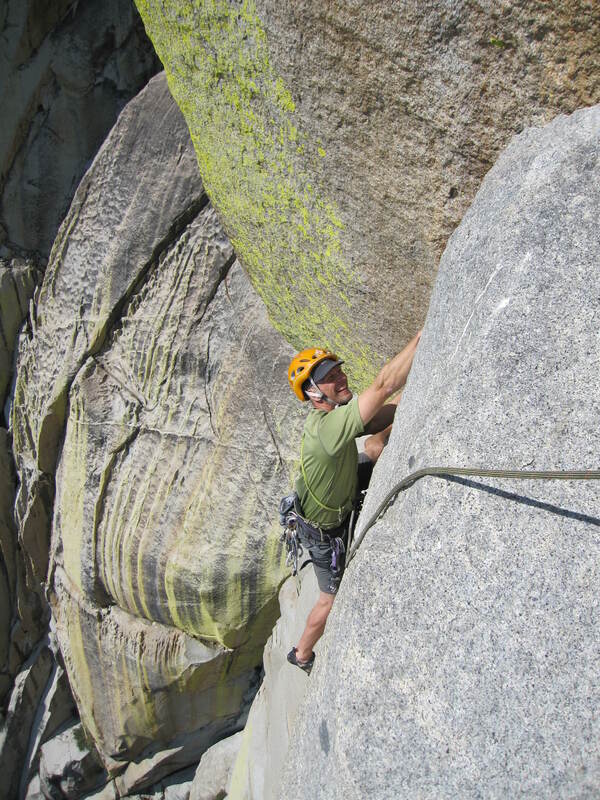 The climbing is safe but the gear is consistently small and sometimes difficult to place. Romantic Warrior seems to be very similar to Venturi Effect, but a step down in overall difficulty. 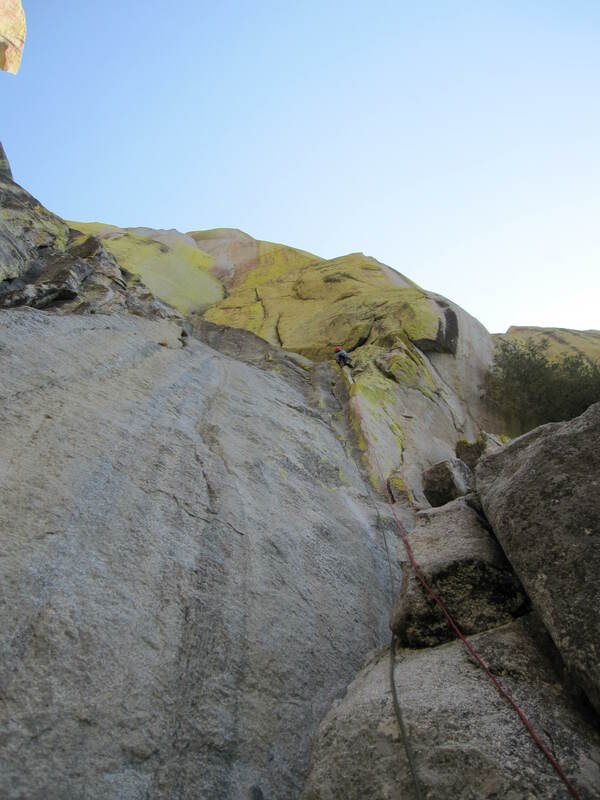 I was surprised to deal with grainy rock, old hardware and lots of tattered slings on RM. All belays have two solid 3/8″ bolts but the route is littered with random 1/4″ relics. Luckily I got to go back in October for another round with Romantic Warrior. Stay tuned for another Trip Report!